1. Credit Cards – I realize that credit cards are one way many people accrue debt. I make money with mine. Advanced Warning – applying for a credit card is a hard pull on your credit report. Hard inquiries will temporarily reduce your credit rating. It is not wise to apply for many credit cards at the same time. You also shouldn’t apply for new credit cards if you know you are going to apply for a house loan in the next few months. Many people have strong enough credit that it doesn’t matter, but these are typically best practices. If you have already accumulated debt, you would be wise to search for a credit card with 0% financing on balance transfers (typically 6-18 months) and no transfer fee. The latter part is important because most credit cards offering 0% financing typically charge a transfer fee around 3%-5%. The Chase Slate card is the most common credit card offered with a 0% balance transfer fee within the first 60 days and 0% financing for 15 months. The other biggie with the Chase Slate card is it has no annual fee. 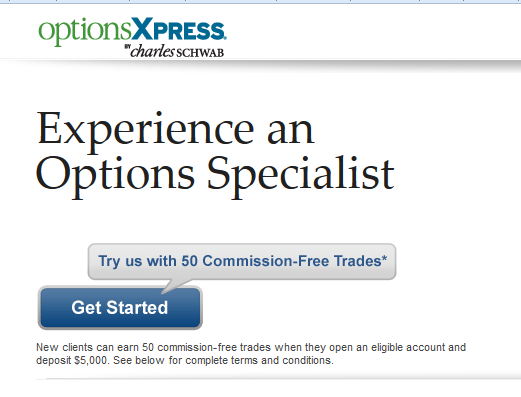 If you are interested in this option, you might also check with Discover. Most of their offers involve a transfer fee, but I have had a fee sent to me with no fee and a 0% introductory APR. If you don’t have credit card debt you need to refinance, the Southwest Airlines card by Chase currently has one of the best signup bonuses. You will receive 50,000 bonus miles (roughly $700 worth of flights) after spending $2000 in the first three months. There is a $99 annual fee that is not waived. Since there is an annual fee, I recommend using this as a churn card (you can currently only receive this bonus every 24 months). 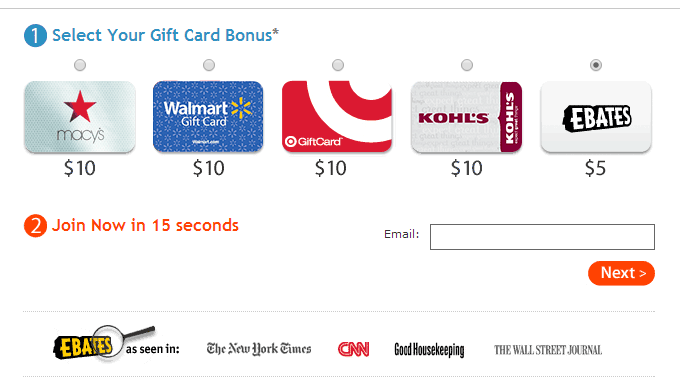 The standard benefits are not good enough to continue using the card after earning the signup bonus. I typically earn about $1000 dollars a year in cashback by strategically using my credit cards. A lot of my earnings accrue from an old Citi Forward card that gives me 5% back (in thank you points) on restaurants and Amazon (book stores). Unfortunately, the newer terms are not as generous. It was intended as a college card, but obviously didn’t have the intended results for the Citi bottom line. Chase Freedom & Discover – these cards are almost the same card from different companies. They both have no annual fees and offer 5% cashback on quarterly rotating categories. If you are good keeping track of the categories, you might as well get both cards. Chase Freedom frequently has a $200 signup bonus after just $500 worth of purchases in the first three months. Penfed – this card is from the Pentagon Federal Credit Union. They are remarkably good all around financial institution. I found them originally because they had the lowest rates on used auto loans. Their credit card gives 5 points for gas purchases and 3 points for grocery stores. The rates used to be 5% and 3%, but they switched to a slightly less lucrative point system about a year and a half ago. The switch made the points a little less than 20% less valuable. Said another way, you will actually earn a little over 4% cashback on gas purchases. It is worth noting you will need to make a couple dollar donation to the American Red Cross to qualify to join Penfed if you are not part of the normal network. It’s one of those odd legacy credit union rules. 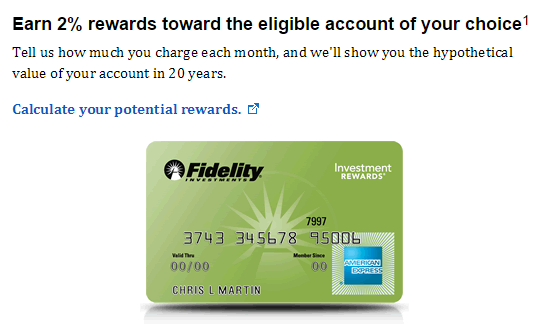 Fidelity Amex – This is the only card I’ve mentioned that I don’t personally have. Why don’t I have it? I have a Bank of America card that gives me 2.5% cashback on all purchases when I collect more than $300 in cash rewards. 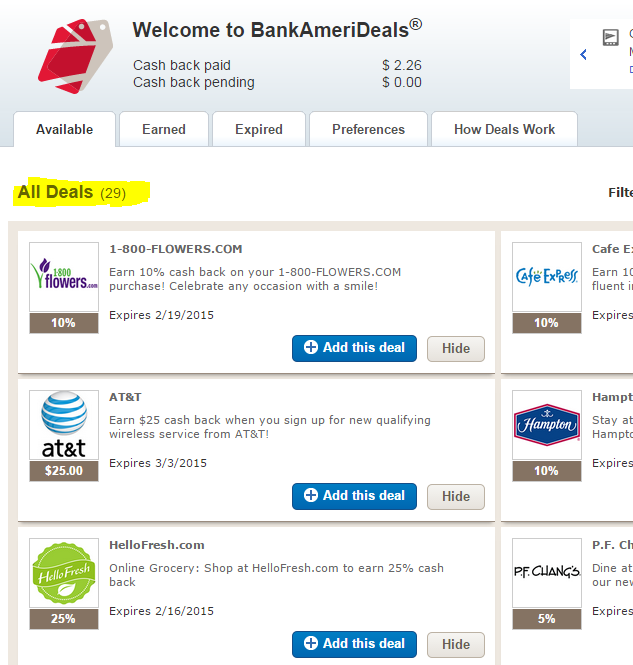 Since I have never seen the BOA deal offered to the general public, the Fidelity Amex card is my recommended card for general day-to-day cashback. AMEX cards typically come with an annual fee. This card does not. The other component I love is that the earnings can be deposited into your IRA. This is a tremendous way to turn a little money now into a lot of money during retirement. 2. Cashback Websites – In the affiliate industry cashback websites are referred to as loyalty sites. 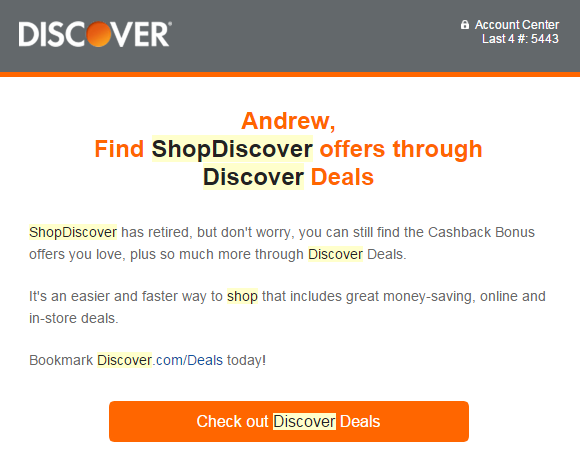 Discover Deals uses the loyalty site model. 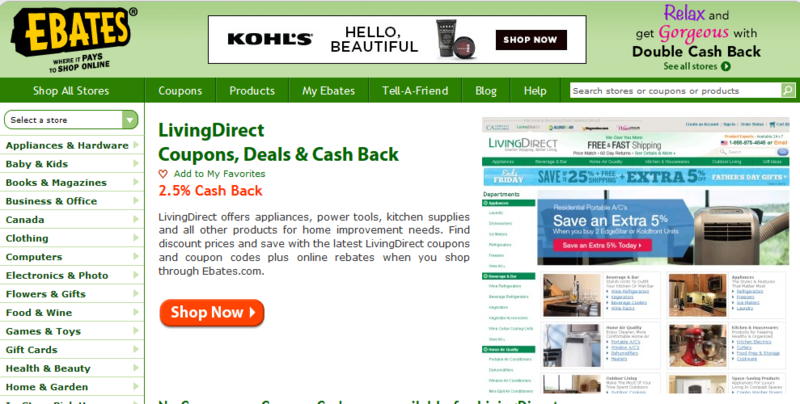 My favorite cashback websites are MrRebates and Ebates. Combine these cashback websites with deals from Slickdeals, Google Shopping and FatWallet to save more money. Be careful with Slickdeals and FatWallet. Many people go on a shopping binge when they first become part of the community. 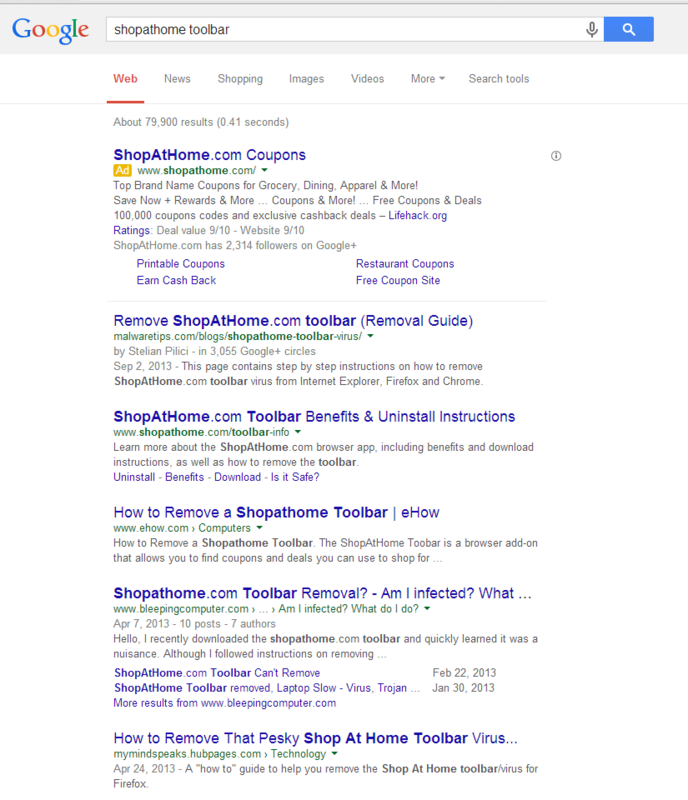 Google Shopping is the best and most widely used comparison shopping engine (CSE). The advantage is that many merchants put slightly lower prices on Google Shopping because they know they are competing with the masses. We actually used a source code embedded in the end of the tracking link that would set a cookie, resulting in 5% lower prices than if you hadn’t gone through Google Shopping. Pricewatch was the first CSE I used in the mid 90s. Unfortunately, they never evolved beyond computer parts and many bad merchants started gaming the system. People still game Google Shopping. 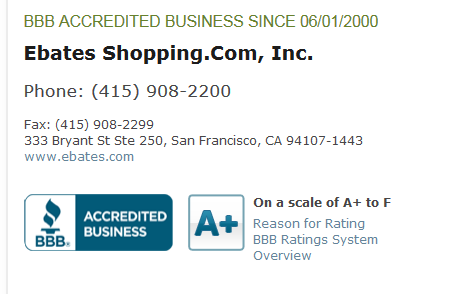 It is important to stick to stores that are rated well. 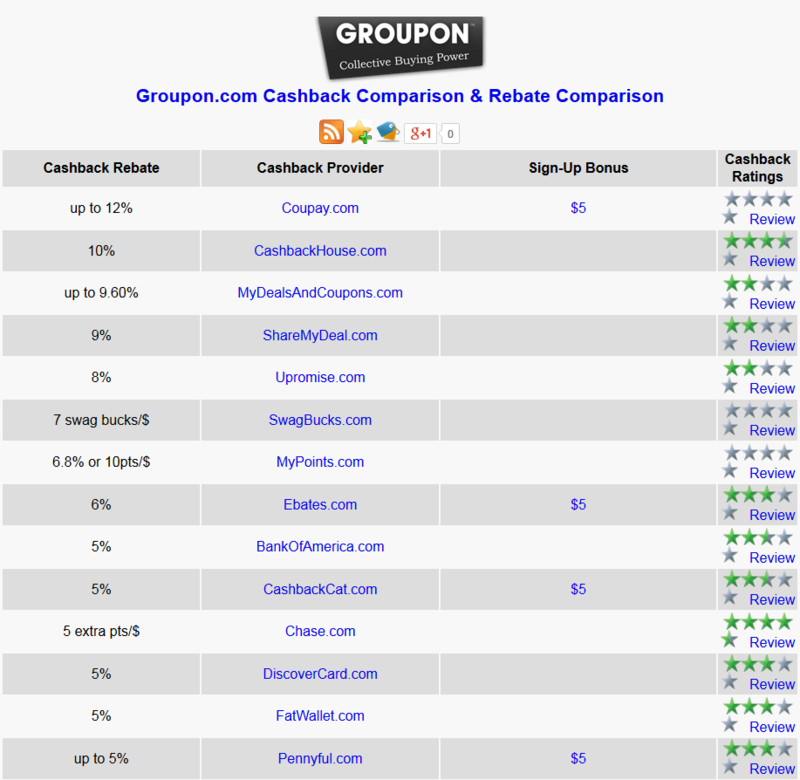 FatWallet merged with Ebates a few years back, but Ebates still tends to offer higher cashback rates. 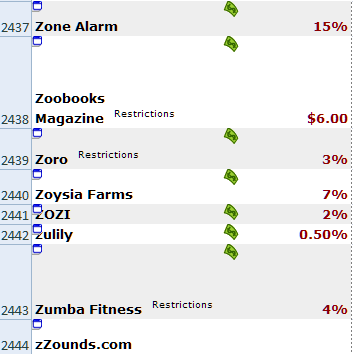 This screenshot will give a slight indication as to how long and how frequently I use MrRebates. 3. Pay for Your Car Insurance 12 Months at a Time – many people don’t realize car insurance policies can be purchased in 12 month cycles. They think you can only buy the policy 6 months at a time. 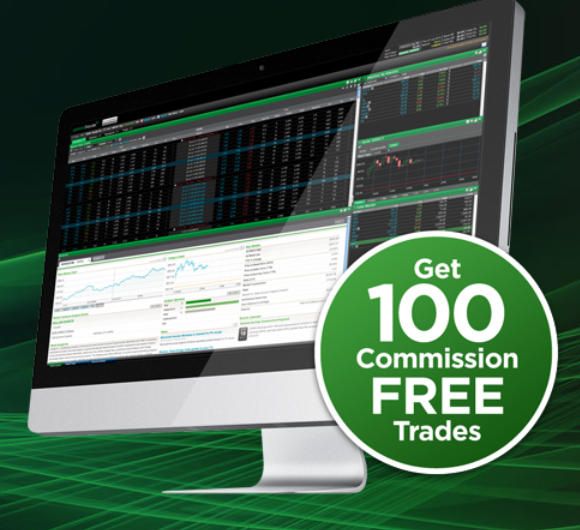 I have used this strategy with both Kemper Preferred and Progressive. If you think about it, a tremendous amount of what we pay for insurance is marketing spend. Insurance companies help create this problem by dicking over loyal customers. It is statistically proven that people who don’t switch car insurance companies end up paying more. The caveat here is you don’t want to lock in a rate for 12 months if you are about to experience a dramatic decline. Examples would be right before you turn 25 or when a wreck is soon to drop off your record. It would also be silly to pay for a 12 month insurance policy with a credit card with a balance. Think of it like an airline hedging their bets by buying oil an advance. If they think the rate is going to drop, they might lock in a relatively small amount. If they think oil prices are going to increase, they will lock in the rate as long as they possibly can. 4. Haggle with the Cable Company – recurring bills are the bane of my existence. Even a little increase adds up to a substantial amount when you multiply it by 12x or 365x. I recently saw that my Time Warner internet bill had gone from a manageable $45 a month an unsustainable $70 per month. BTW, that is the exact phrasing I used when speaking with the Time Warner rep – this bill is unsustainable. The representative said that he needed to investigate. Within a couple minutes, he said that he added a 12 month discount rate of $39.99 to my bill. This was about the fifth time I had used this exact same strategy. I only encountered one woman who would not budge. If you happen to get that sad CSR, hang up and call again. The next person will hook you up. You need to put on your sales person hat in these situations. Be nice but be firm. Other strategies are to mention the introductory rates you have received from ATT or whatever competitor is in your area. Fortunately for us in Austin, this is about to become a moot point with the arrival of Google Fiber. I am only paying Google an initial fee of $300 spread over 12 months to add fiber to my house. Then they are going to give me Internet (5Mbps down and 1 Mbps up) free for the next six years. That is going to be a real win. 5. Ask a Bank to Waive Fees – I must make another confession here. I don’t always pay my bills on time. This has never been due to a lack of funds. It results from poor planning. Anyway, if you have a credit card and you were late paying, ask them to waive the fee. You can also use this strategy for over draft fees. Those were more of a problem several years ago when banks would purposely approve transactions to gain the $35 fee or reorder purchases to make clients accumulate additional late fees. This strategy again requires using your salesman hat. Be nice to the rep and emphasize the fact that you are a good customer. 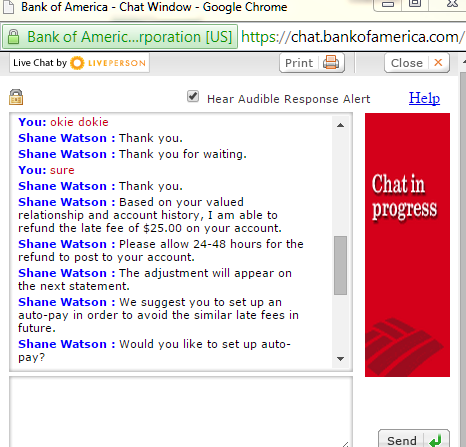 Note the banking representative asked me to setup auto-pay. I promptly took him up on this offer. I don’t pay the full balance through auto-pay, but I make sure that at least the minimum is covered to ensure I do not incur late charges. Discover setup this program for me with no work on my part. Bank of America required a somewhat tedious process, but it took less than fifteen minutes in the end. 6. Use an Off Brand Phone Provider – By off brand phone provider, I mean Cricket, Virgin Mobile, Boost Mobile, Metro PCS, etc. My co-worker said, “don’t only drug dealers use that” when I said I had switched to Cricket Wireless. The reality is that all the sub-brands use the exact same service as the larger brands. Metro PCS – they are actually owned by T-Mobile. They are purely using a different marketing strategy. If you do not believe what I just said or say their must be some disadvantage of the sub-brand services, marketing works well on you my friend. I don’t mean that to be a condescending statement. Marketing works well on me too. The only difference is that I have seen too many cases where people are able to charge 5x or 10x more on a product simply because they advertise it more. Name brands (ATT, Sprint, Verizon, T-Mobile) provide great deals to people on family plans. They offer horrendous rates to people who are simply paying for themselves. The main advantage of major brand cell phone providers used to be that they would give you a shiny new iPhone every 2 years. While that is still true, you can buy a similar phone out of pocket and with no contract for just a couple hundred. The math doesn’t work out anymore with the name brand carriers. 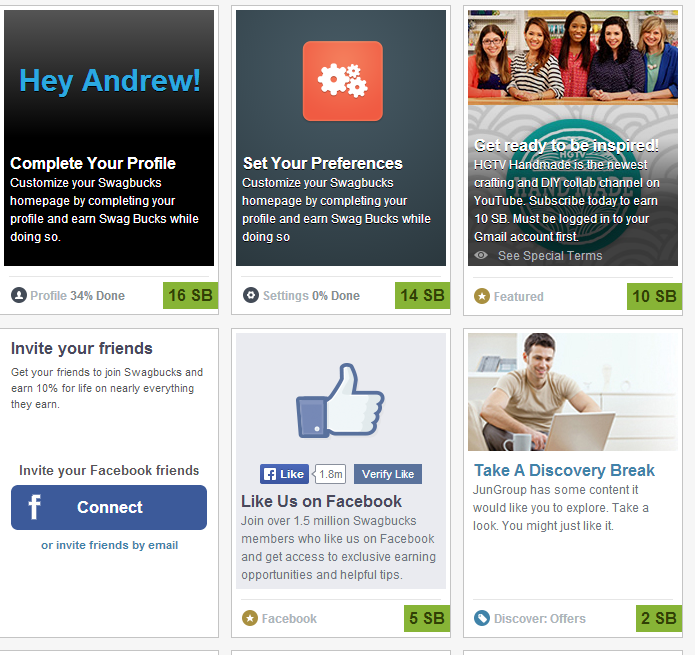 The same providers are providing the service in the back end. I sincerely hope you take these strategies to heart. I am not bullshitting. I have used every single one of these methods and they will save you a substantial amount of money in the long run. Since AT&T owns Cricket and merged legacy customers onto their network, AT&T branded phones will work on Cricket. These phones do not have to be unlocked to work. Here are the steps to make the AT&T phone work. 1. Call Cricket at 1-800-CRICKET to add the IMEI or add it in your online account settings. 2. Take the SIM card from your old device or have Cricket send you a new one. Once the sim is added the port will work. I recently wrote reviews of Mr. 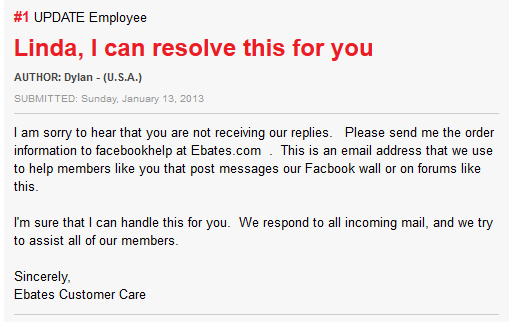 Rebates and Ebates. They are both excellent sites to take advantage of the cashback opportunities afforded by affiliate marketing. Shop Discover does exactly the same thing, but the rates are often higher because merchants are often willing to offer more cashback to Discover Card customers. Another reason that the rates are higher is that Discover Card is less interested in taking a cut for themselves. Their main objective is to add cashback as an attractive feature to current and prospective customers. How Does Shop Discover Work? Cashback sites work by passing affiliate commissions on to the consumer. That means that the folks at Shop Discover join a merchants affiliate program through one of the major networks (Commission Junction, Shareasale, Linkshare, etc.). After they join, they are provided unique tracking links. A cookie is placed in the users browser when the link is clicked. When the user makes a purchase, a pixel on the merchant’s confirmation page sends the sale data back to the network. 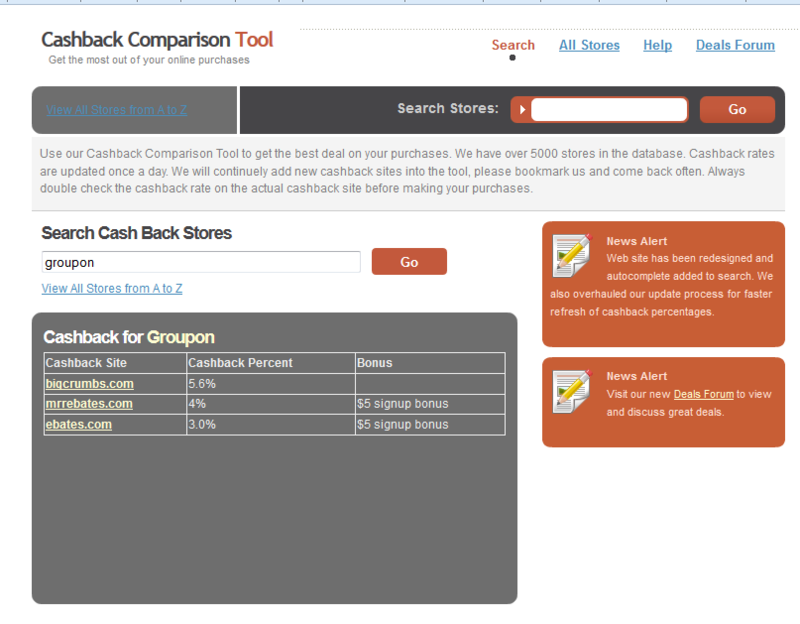 The cashback site, Shop Discover, has an API setup to match that data back to the user on their side. Pretty much anytime you see AID in a link, that stands for affiliate ID. We can also see that Art.com puts the PID and SID from Commission Junction. 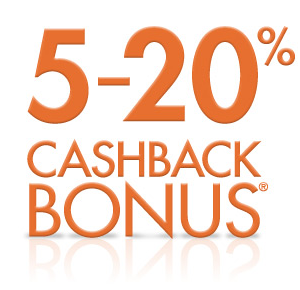 Here is a classic example of a merchant willing to pass on more cashback to Discover Card customers than they would through the traditional affiliate channel. When I look at Art.com’s listing in Commission Junction, their standard commission rate is 5%. They are passing on twice this amount to consumers that use Shop Discover. Something interesting I’ve noticed about Shop Discover is after I login and click on the affiliate link, their system doesn’t actually make me use my Discover Card to receive the Shop Discover cashback rate. This can be particularly handy when a different credit card is offering a higher rate. E.G. my Bank of America credit card gives me 2.5% on all purchases. 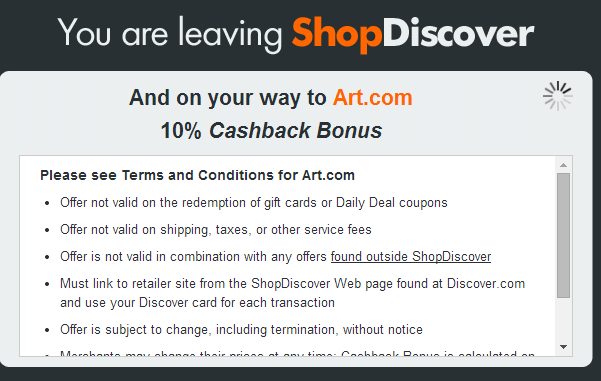 A big difference with Shop Discover compared to other cashback sites, like Mr. 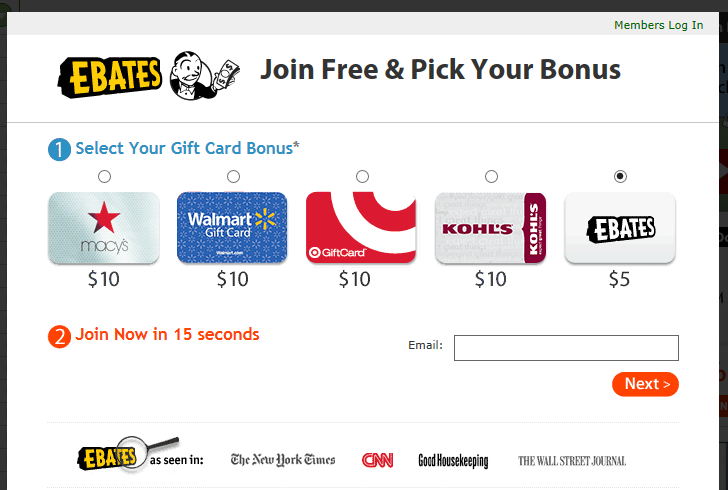 Rebates or Ebates, is that the latter sites work with almost 10 times as many merchants. Shop Discover currently only works with roughly 200 of the largest merchants. 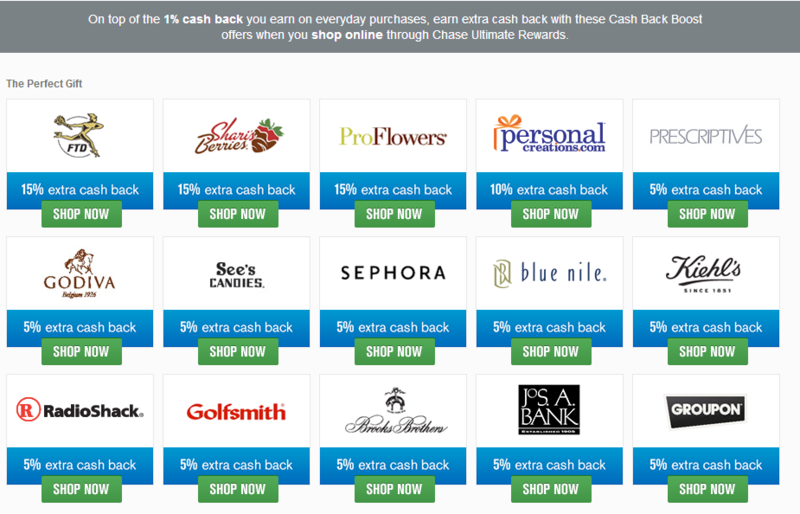 Shop Discover cashback rates go in increments of 5%. 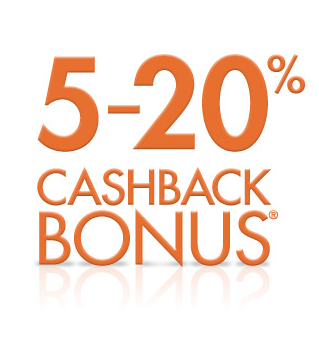 Stores offer cashback rates of 5%, 10%, 15% or 20%. The reality is which site offers the most cashback with a given merchant will vary over time. On average, Shop Discover is typically better than most other sites. 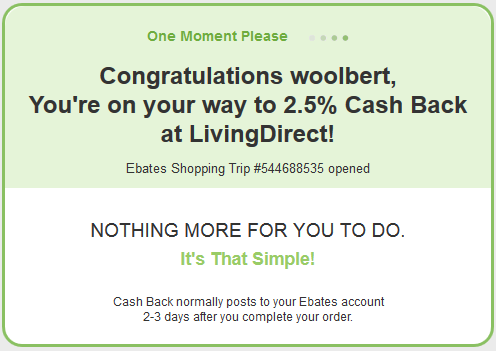 Mooosejaw currently offers 5% cashback through Ebates. 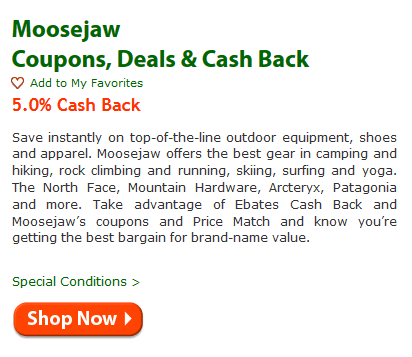 Cashback for Moosejaw from Mr. Rebates is currently at 10%. 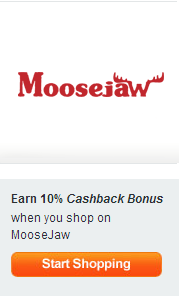 Cashback for Moosejaw from Shop Discover is currently at 10% too. 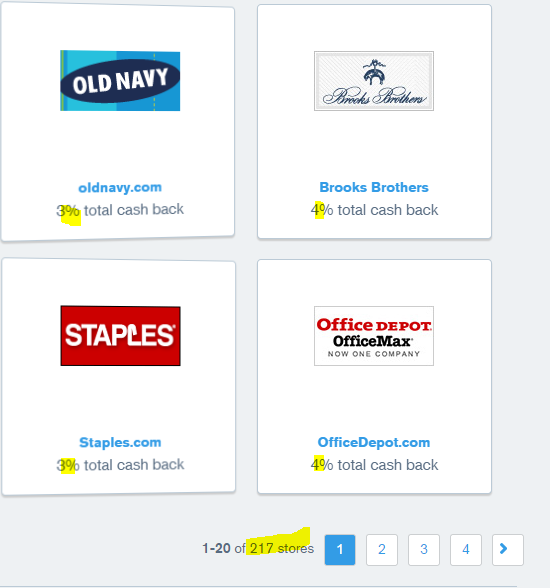 The Moosejaw example illustrates the need to check out the individual rate amongst several cashback sites if you are dedicated to finding the highest cashback rate. My article on cashback monitoring sites can help with this. What Merchants Are On Shop Discover? 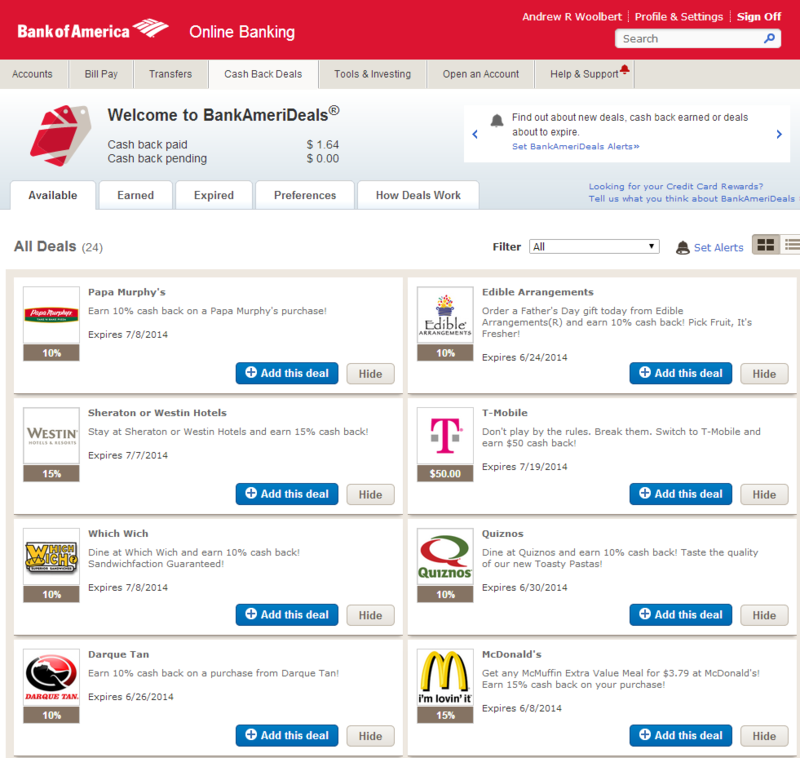 Shop Discover currently works with slightly over 200 different merchants. Compared to your average cashback site, this is a rather small number. You can download a spreadsheet of all the merchants they work with as of July, 2014 here. Some merchants of note are Walmart (5%) and Target (5%). They work with other cashback sites, but 5% is the best rate I know. Since that is the minimum amount of cashback a merchant can offer to work with Shop Discover, their rates are likely to stay this generous too. 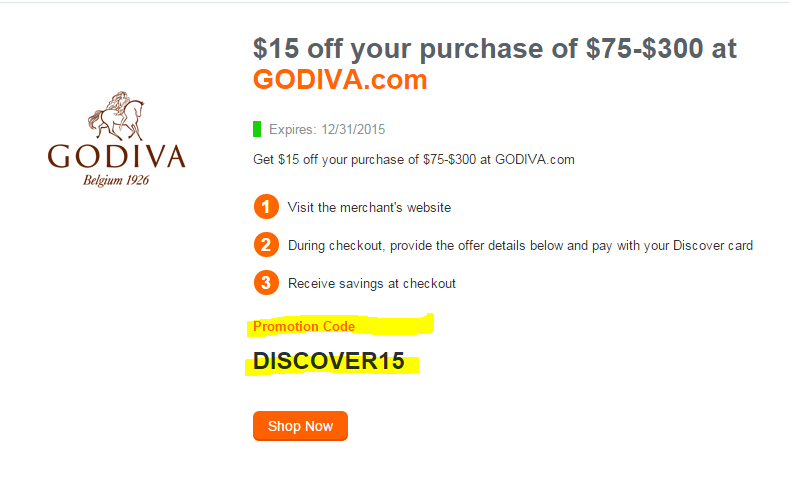 Shop Discover is a great cashback site if you have a Discover Card. 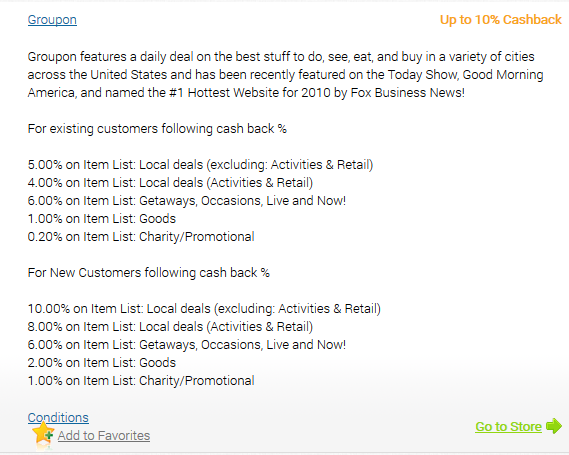 Many merchants offer more cashback through Shop Discover than you will find from competing cashback sites. The biggest problem with Shop Discover is the fact that it works with relatively few stores (a little over 200). Fortunately, they continue to add merchants every year and the largest sites already participate.